As I’ve discussed before, email deliverability is a huge focus of marketers across all industries. We all want our email marketing to reach the inboxes of our subscribers’ — both prospects and customers. If we can improve deliverability, we increase our odds of improving open and even click through rates (CTR). Here are a few steps to improve email click through rates and reach more contacts with your content. This customer is changing. Is your marketing strategy? 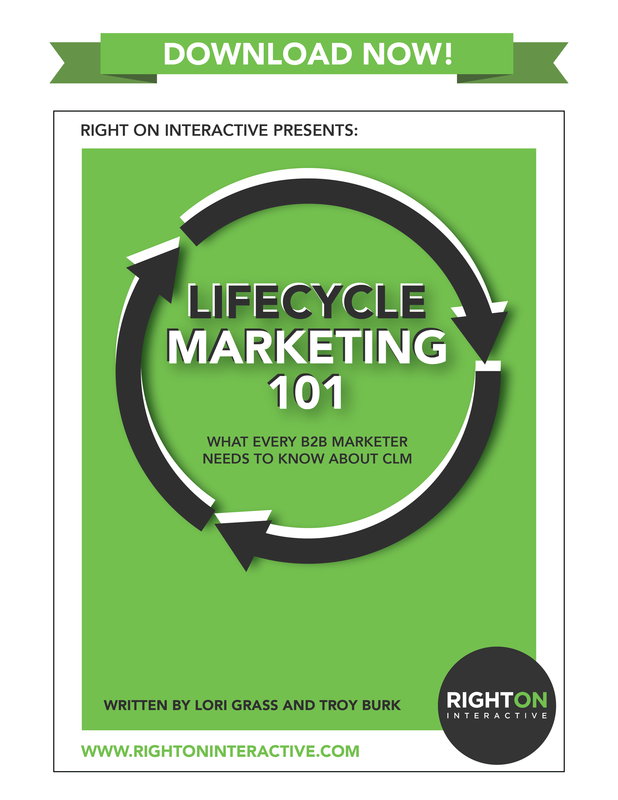 Customer Lifecycle Marketing could save your life. Learn how. The idea in both examples is to make the subscriber feel like they’re missing out on something that could be valuable or interesting if they don’t click through. Both business and consumer buyers are spending quite a bit of time researching vendors, products and services before even reaching out to learn more or to make a purchase. It’s no wonder that online reviews play such a critical role in today’s buying process. Consider G2 Crowd for B2B and the reviews buyers post on retail sites such as Target and Amazon.com. What other people think about a purchase matters to us, even if we don’t know them. Researchers tested how powerful social proof was as a driver of customer behavior. They used four different messages in an effort to convince buyers to use fans instead of air conditioning. Message 1: Informed customers they could be saving $54/month on their utility bill by using fans instead of air conditioning. Message 2: Told customers they could prevent the release of 262 pounds of greenhouse gasses every month by switching from air conditioning to a fan. Message 3: Conveyed saving energy was the “socially responsible” thing to do. Message 4: Let customers know that 77% of their neighbors were already using fans to save energy. The study found that Message 4 was the most effective, beating out the messages about saving money or protecting the environment. If you want to improve email click through rates in your email marketing campaigns, try including forms of social proof such as customer testimonials to show other people have taken similar actions and to also reassure subscribers the offer you are making is legitimate and of value. Let’s be honest, we all like our ego stroked from time to time. Your subscribers are no different. Instead of spewing content at the them and hoping something “sticks” try content that speaks directly to them. For example, business video producer, idzideo, ran a split test on a pay-per-click landing page that delivered a 90% increase in click through rate by changing one word in some button copy. The word they changed? Instead of asking website visitors to “Start your free 30 day trial,” they suggested “Start my free 30 day trial.” One little word caused an increase of 90% click throughs to their payment page. Keep this example in mind the next time you make an offer to your subscribers. Personalization is key, not just in your greeting but also in your offer. Try these simple steps in your email marketing campaigns and you may improve email click through rates. A/B test different approaches such as wording and even link colors and design elements. Bottomline, don’t assume your click through rate is your average forever — take the time to understand your audience better and get the results you’ve been hoping for!